Starpoint Kids is a blast! Whether rocking a newborn or leading a small group of 5th graders, our goal is simple — to make church the best hour of a child’s week! We have many roles for all different types of personalities & schedules. Fill out the Starpoint Kids Application below and discover if volunteering with us is a good fit for you! Wee Worship: Lead our preschoolers in worshipping God in their wee voices! The Planet (K-5th Grade) Small Group Leader: Build community and engage kids on a personal level in activities that will grow their faith in Jesus. Registration Team: These people use their bright smile and warm, welcoming demeanor to ensure that new families have a positive first experience when they walk through our doors. Help families get checked in and find their classroom easily! 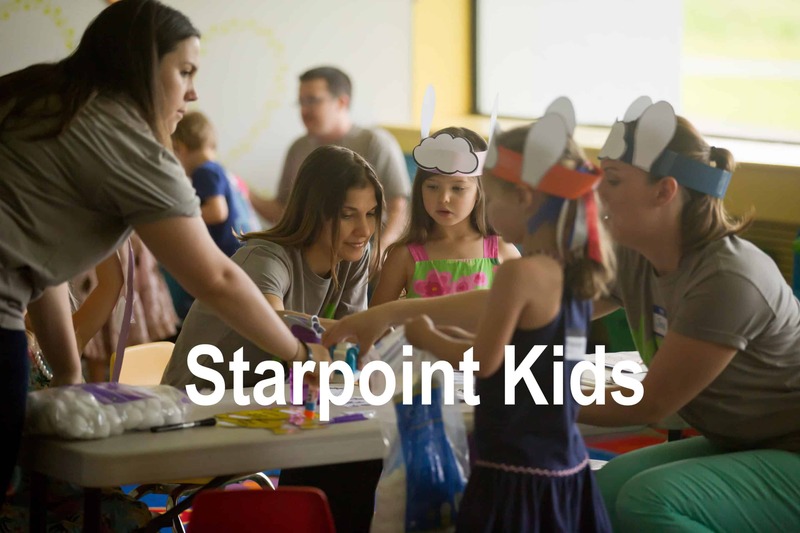 Sign Up or Find out More about Starpoint Kids Here!